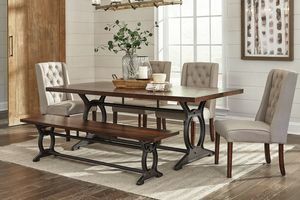 The Laurel Collection displays stunning craftsman detail and functionality, all done in a glowing cherry finish. 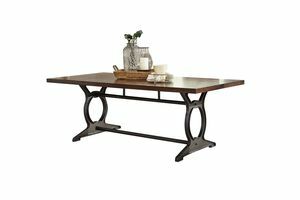 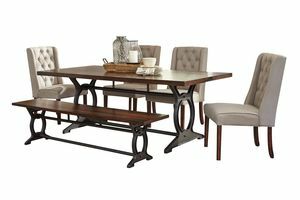 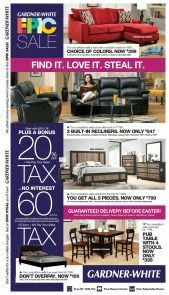 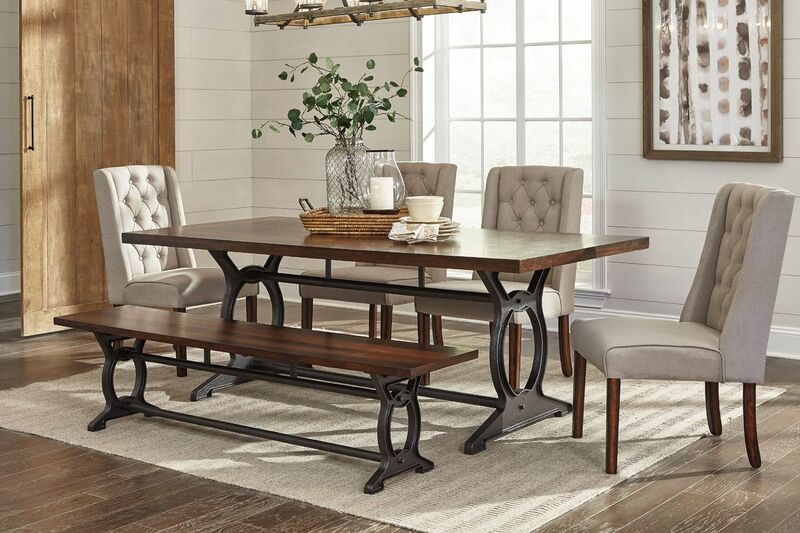 This industrial chic collection features a deep cherry wood and a beautiful metal base. 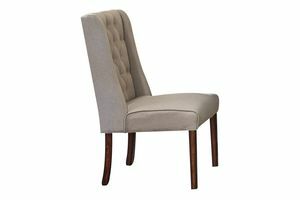 The side chairs are upholstered in a light khaki fabric and are tufted for an upscale style. 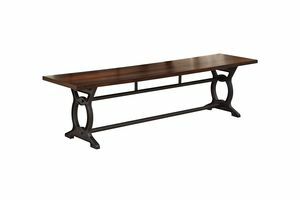 The oversized bench will fit multiple people and is a designed to mimic the table.